As a valued customer of PC Services, we would like you to be familiar with our trading terms, to ensure that your PC Services experience is a satisfying one. Please feel free to contact our Support Team - support@pcservices.ie if you have any further questions. www.pcservices.ie is a website operated by PC Services Trading (Ireland) Limited (“us”, “our”, “we”, “PC Services”). We are a limited liability company registered in Ireland. The goods and services described in this website are available from PC Services only. You and PC Services may enter into a sale contract for the sale and supply of goods or services described in this website, by you making an offer to PC Services via the website, to purchase the goods and services at the specified price, subject to these Terms. The PC Services logo and words are registered trademarks of PC Services Retailing Pty Ltd and used under a limited license by PC Services. These Terms may be amended at any time without notice and your access to this website may be terminated at any time without notice. Your continued use of the website following any amendment of these Terms will represent an agreement by you to be bound by these Terms as amended. We recommend you review the Terms for amendments each time you use the website and before placing any Order. Whilst we are under no obligation to do so, should we choose to provide you with notice of amended Terms, you agree to receive email notification of the amendments from us or our third party. You must not use another member’s account without permission. You must be eighteen (18) years of age or over to register as a member of the website or purchase goods or services from the website. We recommend you carefully preview any proposed Orders before adding them to your shopping cart and proceeding with your Order. Once an Order has been accepted by PC Services, no cancellation of that Order is valid unless you receive our written communication permitting the cancelled Order. Representations of goods or services for sale made by PC Services via the website do not constitute an offer to sell but an invitation to treat. You confirming the Order details in accordance with the procedure on the website. PC Services receives in its account full payment from you for the goods or services (including any applicable delivery and handling charges) and confirmation of that payment is received by our database. the transmission of your offer or the confirmation of any payment, made through an electronic instruction may not be received by PC Services for reasons beyond either parties' reasonable control including but not limited to, electronic failure, mechanical, software, computer, or telecommunications failure, or the omission or failure of third party website providers or systems. to the fullest extent permitted by law, PC Services is not liable to you in any way for any loss or damage of any kind, however caused, arising directly or indirectly in connection with the transmission of an electronic instruction through the website, or any failure to receive an electronic instruction for whatever reason. PC Services may act on and process all completed electronic instructions transmitted or issued through the website without further consent from or reference to you. PC Services may treat an electronic instruction as authentic and is under no obligation to investigate the authenticity or authority of persons issuing or transmitting such electronic instructions, or to verify the accuracy and completeness of such electronic instructions.
. Please note this email does not constitute acceptance of your Order by us but merely confirms our receipt of your Order. If your Order is not accepted by PC Services, PC Services will notify you by telephone or email and arrange for a full refund of any payment made by you to be processed. Any representations made at any time about stock availabilities are accurate to the last known stock level and are subject to change. If PC Services cannot supply particular goods, PC Services will notify you by telephone or email as soon as possible. Subject to clause 5(12) below, PC Services will be deemed to have accepted your Order on the first to occur of issue to you of a tax invoice for the sale and the fulfillment of your Order. With regard to any Order placed by you for any customised goods (including without limitation furniture made to/incorporating a particular design, specification, colour, configuration, pattern or fabric) PC Services will e-mail you a notice of acceptance following confirmation of receipt of your Order at which point the customised goods shall be ordered by us from our suppliers. Upon the sending to you of the notice of acceptance, PC Services shall be deemed to have accepted your offer, following which no cancellation of your Order by you shall be permitted and no refund shall be made by us in respect of such goods. PC Services is unable to accept a PC Services Gift Card as a payment option for an Order. Prices shown are in Euros and include VAT where applicable. Prices may not include delivery and handling charges. Prices are valid until amended or removed from the website and are subject to change at any time. Each published saving in respect of goods or services is by reference to the lower of the recommended retail price of the manufacturer or the normal ticketed price of PC Services. Images of goods shown without any advertised price beside that image are not offered for sale. Unless otherwise stated, accessories shown in any image of goods are not included in the price. We reserve the right to correct any errors published on the website at any time. 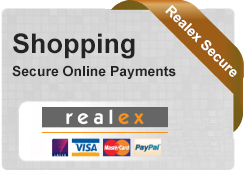 All payments must be made in full prior to delivery, including any applicable delivery or handling charges. Payments must be made via the TNS or PayPal secure payment gateway facilities accessible via the website and will be subject to any additional terms and conditions of these providers. Subject to you complying with these Terms and acceptance of your Order by PC Services, PC Services will sell and supply the goods or services to you as shown on your Order confirmation. If the goods that you have Ordered are in stock PC Services will endeavor to dispatch Electrical and Computer orders within three (3) business days and Furniture and Bedding orders within five (5) business days. Goods may not be available for immediate delivery. PC Services will endeavor to deliver your Order to you within twenty eight (28) business days of the date you placed your Order, except if the Order is for an item of furniture or any customised goods. Items of furniture or any customized goods which are not held in stock will be required to be ordered. You agree that your Order for any item of furniture or any customised goods may take up to sixteen (16) weeks to be delivered to you from the date you placed your Order. This timeframe is the average manufacturing lead time required by suppliers. PC Services will contact you on receipt of your Order to notify you of the indicative delivery date. Other than in respect of Orders for furniture and any customised goods, if PC Services gives you notice that it will be unable to deliver your Order within twenty eight (28) business days of receipt of your Order, due to lack of stock, you may cancel your Order without charge, and PC Services will arrange for a full refund of any payment made by you to be processed. Delivery dates are estimates only and we are unable to accept any liability for failure to deliver the goods within the specified time resulting from shipment/delivery delays from our suppliers. The delivery address must be an address within Ireland and cannot be a freight forwarding location. Deliveries cannot be made to PO Boxes. On acceptance of your Order by PC Services, your Order will be dispatched to your specified delivery address generally within three (3) business days for Electrical and Computer orders and five (5) business days for Furniture and Bedding Orders, subject to the other provisions of these Terms. If you Order large or bulky items, PC Services will contact you by telephone or email to arrange with you a suitable time for delivery. If you wish to change the delivery date or delivery address you must contact the support team, support@pcservices.ie at least 48 hours prior to the dispatch of your Order. PC Services will use its reasonable endeavors to deliver your Order within any stated timeframes for dispatch, however PC Services does not warrant that these timeframes will always be met, as many factors may affect these timeframes. You must advise at the time you place your Order via the website or later when you discuss delivery with PC Services, of any difficulties that may be involved in the delivery (such as stairs or narrow entries). If you do not state the situation correctly and on arrival the delivery contractor deems it to be a difficult location you will be liable for any extra charges including redelivery fees and the cost of an extra person to assist. PC Services cannot and will not accept responsibility for delivery failures or delays by our third party delivery contractor. You are required to inspect your goods when you take delivery of them. You will be required to note any damage on the delivery documentation which is presented to you by the carrier for signature. In all other cases you will be required to notify us in writing of any damage on delivery or shortages within three (3) days of delivery. We will not be liable for any damage on delivery to any of the goods unless we are notified within the time period specified above. The terms of this clause apply where you select to collect your Order from a PC Services Store. If you select to collect your goods from a PC Services Store, a representative of the relevant PC Services Store will contact you by telephone or email to notify you when the Order is available for collection. Orders for collection at a PC Services Store must be collected within fourteen (14) days of the relevant PC Services Store giving you notice by telephone or by email that your Order is available for collection. If your Order is not collected within this time, the relevant PC Services Store has the right to allocate those goods to another customer and reorder the goods for you. Title and risk in goods pass to you on delivery or collection, as the case may be. To the fullest extent permitted by law, PC Services and its related entities will not be responsible for any damages or consequential losses of any kind (whether direct or indirect) suffered by a user where a credit/debit card, PayPal account or other payment method is fraudulently used or is used in an unauthorised or improper manner. errors, mistakes or inaccuracies on the website. you acting, or failing to act, on any information contained on or referred to on the website and/or any linked website. personal injury or property damage of any kind resulting from your access or use of the website. any unauthorised access to or use of the websites secure servers. any bugs, viruses, trojan horses or other harmful code or communications which may be transmitted to or through the website by any third party. Without limitation to the foregoing, except as expressly provided in these Terms and to the fullest extent allowed by the law, PC Services and its third parties will not be liable for any direct, indirect, special, incidental or consequential damages arising out of your access to or use of the website or any goods or services purchased on it. This clause is not intended to exclude or limit any rights which you may have under the Sale of Goods and Supply of Services Act 1980. If you have any query about the progress of your Order please contact the support team - support@pcservices.ie. Please have your Order number handy as shown on the email confirmation of your Order. rights under our Returns Policy. legal rights and remedies in Ireland under the Sale of Goods and Supply of Services Act 1980 or any other applicable legislation. to have the goods repaired or replaced or to receive a refund of the price paid by you for the goods. If your Order arrives damaged, please contact our support team. You will be responsible for the cost of returning the goods to us. A full refund of the value of the goods will be made upon our receipt of the returned goods. In the interests of hygiene, duvets, sheets , pillows, headphones and Bluetooth headsets cannot be returned unless they are unopened and in their original packaging. Items such as laptops, tablets, home computers, software, games, DVD’s , CD’s, Recordable media and other equipment which contain a security seal can only be returned if the security seal has not been broken or tampered with. Customised or personalised goods cannot be refunded or exchanged. Other than as set out in clause 17(1), PC Services will generally not provide you with a refund or exchange simply because you changed your mind or the goods were not what you expected. This clause is not intended to exclude or limit any rights which you may have under the European Directive on Distance Selling (Directive 97/7/EC) or the EC (Protection of Consumers in respect of Contracts made by means of a Distance Communication) Regulations 2001 as amended. The Irish courts will have non-exclusive jurisdiction over any claim arising from, or related to, a visit to our website or any Order placed on the website, although we retain the right to bring proceedings against you for breach of these conditions in your country of residence or any other relevant country. These Terms are governed by Irish law. If you access the website in a jurisdiction other than Ireland, you are responsible for compliance with the laws of that jurisdiction, to the extent that they apply. PC Services makes no representations that the content of the website complies with the laws of any country outside Ireland. If any part of these terms are found to be void, invalid, unlawful or unenforceable then that provision or part will be deemed to be severed from these terms and the remaining terms and provisions of these terms will remain in force and constitute the agreement between you and PC Services. If PC Services merges, sells or otherwise changes control of its business or this website to a third-party, PC Services reserves the right, without giving notice or seeking consent, to transfer or assign the personal information, content and rights that PC Services has collected from you and any agreements it has made with you. The failure by PC Services to exercise or enforce any right or provision under these terms will not constitute a waiver of such right or provision. Any waiver of any provision under these terms will only be effective if it is in writing and signed by PC Services.